Call to reserve a spot !! Hear how Love In The Name of Christ of Yakima is transforming lives of both volunteers and clients! Give today to help empower families to break out of poverty. For even greater impact, become a Transformer. Sign up for monthly electronic giving. Just click here to make an online donation. We train volunteers to minister effectively to the broken, giving them tools and understanding about the root issues of poverty. Love INC (In the Name of Christ) empowers families to break out of poverty. We go beyond superficial “bandaid” fixes and address the root issues that keep people stuck in their brokenness. The Connection Center links people in need with needed resources and services in the community. The dedicated Client Assistance line is 509-453-0214. The T.E.A.M. (Training, Equipping & Mentoring) Program links families in poverty with trained volunteers from our network of 24+ local churches. Families in the T.E.A.M. Program earn points for their participation. Points are redeemed for material help such as groceries and gas cards to free up their income to pay off debt. Meanwhile they are learning vital budgeting and life skills that enable them to lead productive, financially independent lives. The Mission of Love INC of Yakima is to mobilize local churches to transform lives and communities in the name of Christ. 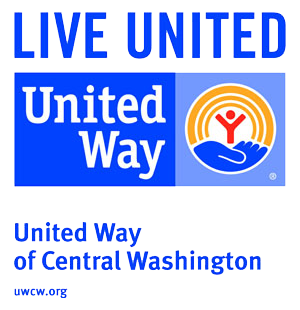 Love INC of Yakima is a 501(C)3 Organization.